There once was a bridge operator who had a young son whom he dearly loved. They were inseparable. The young boy often asked to go with his father to watch him work - to watch him raise and lower the draw bridge, allowing the boats to pass under or the passenger trains to cross over. One day the father relented and allowed his son to come with him. "Stay here at a safe distance," the father warned the boy, "while I go and raise the bridge for the coming boat." 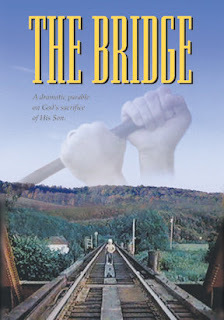 The boy stayed where his father had left him and watched the bridge as it slowly lifted up in the sky. Suddenly, the boy heard the faint cry of an approaching passenger train - coming quite a bit sooner than had been expected. The father, up in the control room, could hear neither the whistle of the train nor the warning cry of his son. At the same time the father saw his son fall down into the hole in the platform, he saw the fast approaching train. In horror, he realized that if he didn't start lowering the bridge immediately, it would not be down in time for the train to pass safely. The train would crash into the river below killing hundreds of innocent people. The man was faced with an unimaginable dilemma - race to save his son at the cost of hundreds of lives, or sacrifice his son to save the passengers on the train. The sacrifice of One offers life to all. God did not take pleasure in watching His Son die. It had to have been agonizing for God to stand by as Jesus died covered in the intense darkness of all of our sins. There was no choice...it had to happen. The sacrifice had to be made in order for us to be able to live. And like those people on the train, we have the choice regarding what we will do with that sacrifice. We can choose to ignore it - to ignore God - not even bothering consider what God did on our behalf. We can choose to look at God briefly - to glance in passing - and then continue on with our own priorities and plans. Or we can acknowledge what it was that God sacrificed to give us life. We can embrace it and accept it on our behalf, and choose to live our lives for God. Where are you on that train? Can you see the anguish in the Father's eyes as you pass by? Do you know that He offered His greatest sacrifice so that you could live? Will you accept it? Will you choose to give your life to Him because of what He gave for you? The equivalent would be if the son was to be resurrected in 3 days and lived for eternity with his father, somehow them both being the same person, namely God. Point is, that the "death" of Jesus doesn't share any parallel to what we, as humans, think of as death. Christians conflate their definitions of "death" conveniently to make the sacrifice seem scarier than it is. If you were Jesus, aka God, there is no such thing as death, as we understand it. And really, if you are Christian and believe in a heaven and everlasting life, there is no such thing as death either. The only way this story of the son and the bridge is sad is if you are an atheist or agnostic. Otherwise, the son is in heaven and the father will see him again one day. If someone can explain this to me otherwise, I would welcome it. The way I see it is that the son was crushed in the gears, an excruciatingly painful death, as was Jesus. He was nailed to the cross whilst bearing the weight of the worlds sins. (The weight of the worlds sins - just imagine everything you have ever done wrong, or anytime you have hurt someone. Imagine all that guilt and pain coming upon you in one big blow, now imagine the WHOLE worlds wrong doings, guilt and pain). No father would ever wish such deaths on their children, whether they knew they would see them again or not. And for a father to witness such deaths would be most painful to him. @ 2009-2017. 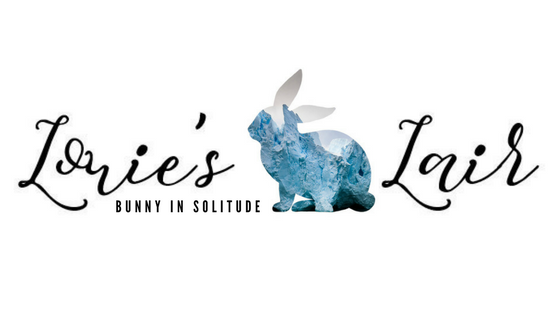 Louie's Lair by Hedwig Martina. Simple theme. Powered by Blogger.